Alicia Swinton has over 23 years experience working with horses. Specializing in 3 day eventing, classical dressage, and jumpers. Alicia has trained with some of the sports top professionals, such as, Bunie Sexton, Earl McFall, Yve Sauvginon, Lauren Billys and many more. "I have been helping people reach their goals for the past 12 years. I started teaching at Oakridge Stables, in 2006, for the European Pony School (What is now, Santa Rosa Equestrian Center), and continued there for several years teaching private and group lessons to children of all ages. We attended schooling shows, and ran full service horse camps. I moved to Sacramento in 2009 and continued my passion for teaching by opening my own riding school. Throughout the past years I have helped numerous students achieve success and fulfill their dreams in and out of the show ring. From ages 5 to 65 , no one is too young or old to join our show team! We have an amazing group of supportive riders and friends that encourage each other on and have a lot of fun in the process! In addition we actively attend clinics by top professionals in the sport such as; Geroge Morris, Phillip Dutton and Hawley Bennet. We are committed to progression for all levels, and go cross country schooling regularly. 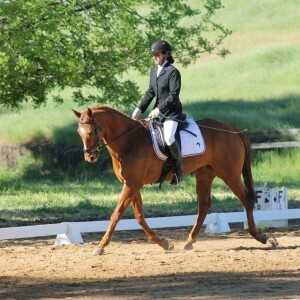 You and your horse will get experience and preparation for upcoming shows!" Alicia Swinton Eventing is based on the belief that my clients needs and goals are of the utmost importance along side of what's BEST for the horse. "I am committed to meeting the needs of my students in a positive, successful, and safe environment. As a result, a high percentage of our business is from repeat customers and referrals." Her unique training style will get you the results you desire, in the show ring and out. A combination of classical, European training, with a natural horsemanship ideology, helps mold a well rounded rider. With this combined method, She teaches her students to understand how the equine brain operates, as well as the bio-mechanics of the body. To work with the horse, not against, always encouraging and supporting her horses and riders to reach their full potential. If you'd like to train with Alicia, click here.